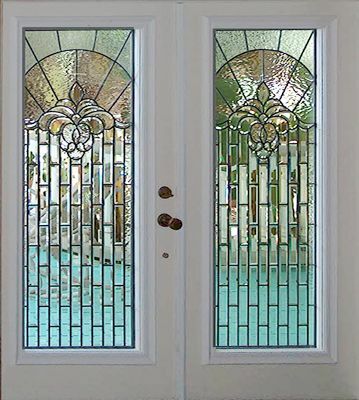 "LL03E6" D100 DOORS WITH LEADED BEVEL GLASS WINDOWS CUSTOM AT GLASS BY DESIGN. LL03 clear bevel sets and rectangular bevels. Waterglass and Gluechip finish the top of the windows.